There are a ton of books about Halloween and there are so many wonderful books about the beautiful lives of the Saints. But, I'm happy I finally discovered a book that tells the story of the true meaning of Halloween and All Saints' Day. Jackie's Special Halloween by Brenda Castro is a perfect book for children and adults to learn how the two days are related and helps readers understand why we celebrate Halloween/All Saints' Day. My children have always enjoyed dressing up at Halloween and collecting candy as something fun to do. However, we have always taught them that what is most important is that the Catholic Church celebrates All Saints' Day on November 1 as a way to remember all the Saints that have gone before us and that pray for us and are our role models while we try to reach sainthood ourselves. 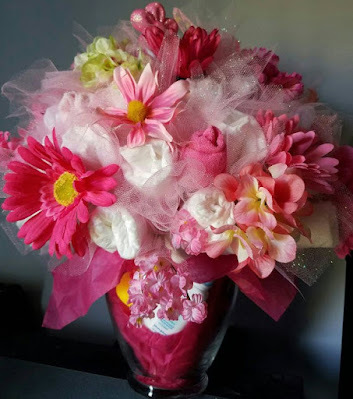 With Halloween being so commercialized, the focus is mostly on candy and costumes so it is difficult to have children remember that what is most important about Halloween or All Hallows' Eve is what is celebrated the day after, All Saints' Day. 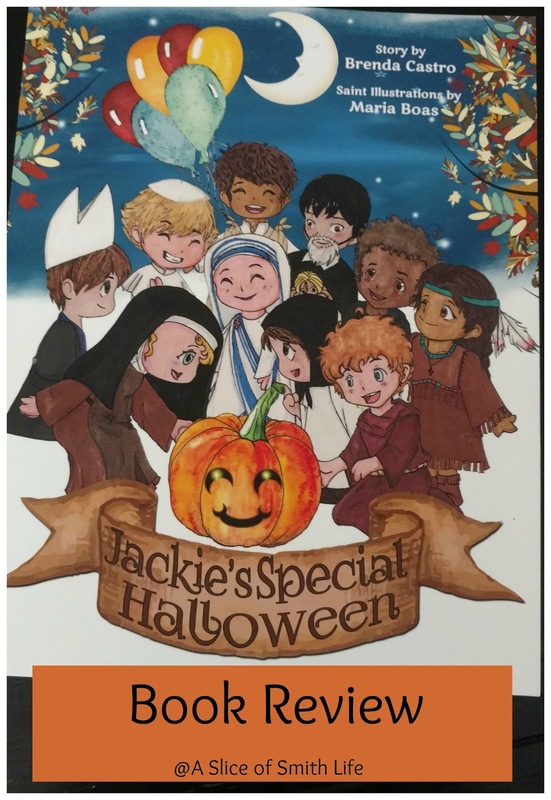 Jackie's Special Halloween is a great resource and a fun book to read as a family that focuses on celebrating All Saints' Day with the Saints, our holy heroes. Jackie's Special Halloween is about a sister and brother, Bella and Pablo, who choose Jackie, the pumpkin, from the pumpkin patch. 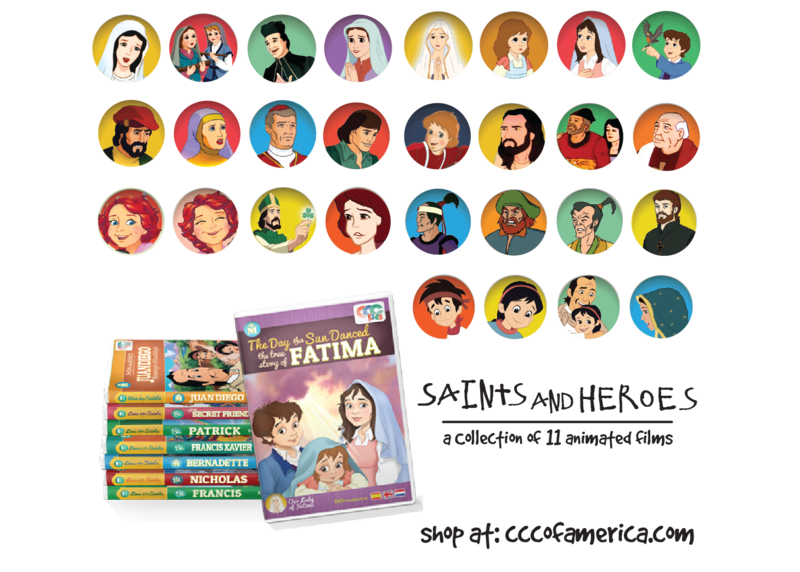 Bella and Pablo are able to teach sweet Jackie about 10 different Saints as Bella and Pablo's friends come dressed as their favorite Saint at their All Saints' Day party on November 1. My five children of all ages, teen down to Pre-K, liked that the author had them guessing which Saints were being described. Each Saint is introduced with cute drawings by Maria Boas and a brief description is given for them on the same page as the drawings. 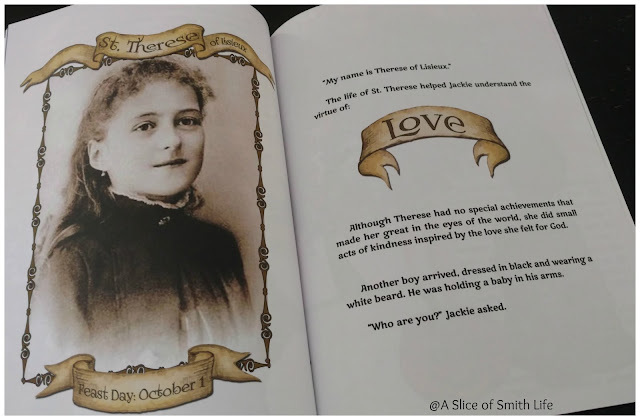 Then when you turn the next page there are realistic photos or drawings of the Saint as the book characters tell who they are dressed as for the party. Here is a page from the book to give you a sneak peek of the fun illustrations and how the book is organized. I loved that the book kept my children's attention from the oldest down to the youngest as they made their guesses. I especially enjoyed that the book teaches various virtues with each Saint and tells how each Saint lived out the particular virtue in their own life. For example, the virtue for Saint John Paul II is "Forgiveness" because "John Paul II forgave a man who tried to kill him and taught the man about God." Some of the Saints were more obvious than others to guess correctly, but there were a few that challenged my children. Families that are familiar with the lives of the Saints will still enjoy reading this book and learning about the virtues. 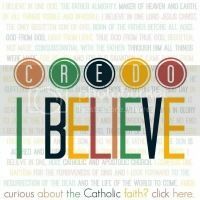 For those families who may not know a lot about the Saints' lives, I think this book would be a great introduction to this wonderful part of our Catholic faith. 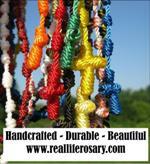 Since Saint Therese of Lisieux is my favorite Saint, I especially enjoyed her photo and page. I am so grateful there is finally a book that is a fun way to learn and remember that Halloween is really about being the eve of All Saints' Day and that celebrating the Saints that are with God now is what is most important when we celebrate All Saints' Day on November 1. 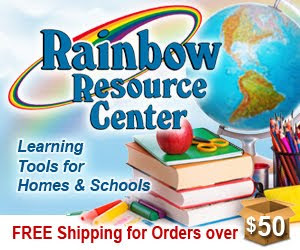 I highly recommend this book for your home or school library! 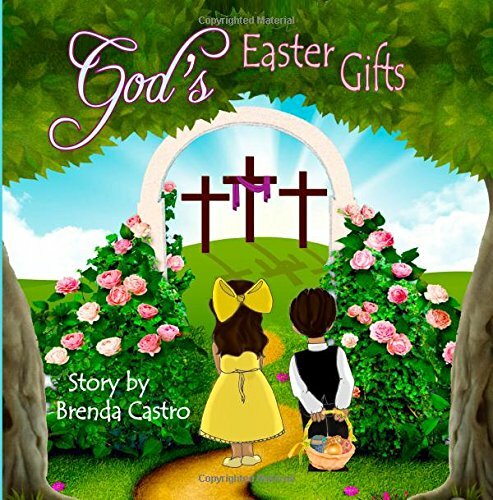 Brenda Castro has also written God's Easter Gifts,"a story about the two siblings finding the true meaning of Easter". I look forward to reading (and possibly reviewing) this one as well in the spring! If you would like to read another review of Jackie's Special Halloween be sure to check out Nicole's review post at Children of the Church, which is where I first learned about this great and meaningful book.